In a previous post we discussed the fundamental differences between recording audio in mono or stereo, and how each method may be better suited to certain scenarios. In this post we will look at the various types of common stereo mic techniques, how they vary from each-other and what types of microphones you will need to successfully use them. When making the jump from mono to stereo recording, you are going to encounter the hurdle known as phase cancellation. This is when two versions of the same sound (whatever you are recording) arrive at each microphone at slightly different times (within milliseconds of each other) and are mixed together in playback. Because audio signals are either going into positive amplitude or negative amplitude at all times, the two signals will either cancel each other out if travelling in opposite amplitudes, or boost each other if travelling in the same amplitude. The resulting audio will have un-natural volume and frequency fluctuations throughout your recording, with some frequencies reduced and some being boosted. 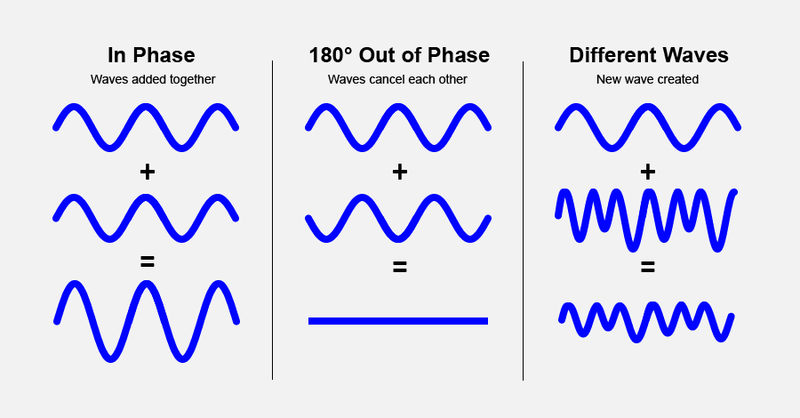 If the two signals are perfectly 180 degrees out of phase, you will have complete silence. Some of the stereo mic techniques listed below are better suited to minimizing phase problems, while some are susceptible to it. Let’s look at each type and what you can do to avoid this issue! The Spaced Pair (also known as A/B) technique consists of two individual microphones, typically using cardioid or omni-directional polar patterns, spaced apart to capture a wide stereo image of an instrument or ensemble. This technique is susceptible to phase issues, due to the time differences of the audio arriving at each mic. To combat this you can use the 3:1 rule – Place the second mic 3 times as far away from the first, as the first mic is from the sound source. For example if recording an acoustic guitar, try a placement of each mic 10cm from the guitar, but 30cm away from each other, one positioned near the body of the guitar and one near the neck. This will minimize phase issues, while giving you a wide stereo image of the complete instrument, capturing the tonal differences between the body and neck of the guitar. 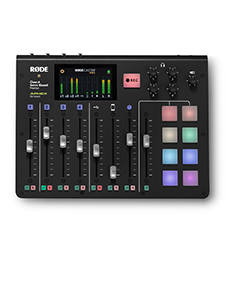 Perfect microphones for this type of application are the RØDE M5 Matched Pair, NT5 Matched pair or for ultimate flexibility the NT55 Matched Pair which also come supplied with interchangeable omni-directional capsules. The X-Y technique consists of two identical cardioid microphones, placed on top of each other while facing away from each other at a 90 degree angle. The two microphone capsules capture sound to the left and right of the immediate area, which means your stereo image is not as wide as a spaced pair, but is simple to set up. This technique is also great at minimizing phase cancellation, as the sound typically arrives at each capsule at the same time due to the close proximity, making it a great choice for quick and easy stereo mic setups. 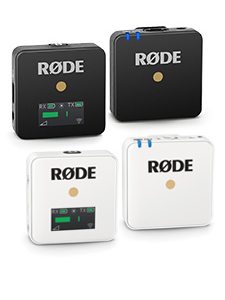 To make things even easier for you, RØDE make a number of X-Y stereo microphones such as the NT4, Stereo VideoMic Pro for an on-camera solution, or the i-XY which plugs directly into your iPhone and captures stunning stereo audio straight into your portable device! The Blumlein technique is very similar to X/Y except instead of cardioid microphones, bi-directional (figure eight) mics are used and also positioned at 90 degrees to each other. This means the microphone capturing audio to the front and left (towards the sound source) also picks up the back right of the room. Similarly the mic facing front and right, also picks up back and left. The resulting audio contains both a stereo image of the sound source, with added ambience captured from the rear of the recording space. This can add size and depth to your recording but a nice sounding room will be crucial to the results. 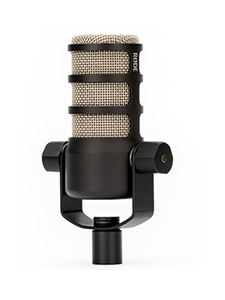 Mics that are capable of recording in Figure Eight polar patterns are required for this, such as the NT2-A, or the K2 valve microphone. The SB20 Stereo Bar can be used to help with mounting two microphones close together. Named after the French TV station that invented it, ORTF is a stereo technique designed to mimic the placement of human ears. To do this, you will need to place two identical cardioid microphones exactly 17cm apart, facing away from each other at a 110 degree angle. The resulting audio should be very close to the width and directionality you experience when listening to any sound source. A set of matched cardioid mics is best for this, such as the NT5 or NT55 Matched Pair. The SB20 Stereo Bar actually comes supplied with markings to help you achieve accurate ORTF placement. The Mid-Side Technique (also known as M-S) is the most involved stereo technique but gives you further control over the results. To achieve this technique you will need a cardioid microphone, and also a bi-directional (figure eight) microphone. The cardioid microphone (Mid) faces the sound source on-axis, while the figure eight microphone (Side) faces the left and right and picks up off-axis sound. The track recorded with the Side information must then be duplicated, and the phase must be inverted on the duplicate track, with the original panned hard left, and the duplicate panned hard right. The cardioid (Mid) channel is always panned center. By adjusting the level of the Mid versus the Side channels, the stereo image can be altered to give different results. Experimentation is key with this technique to find a result that works best for you. Flexible microphones like the NT2-A or NT2000 can handle both the cardioid and figure eight applications for this technique, and using a pair of matching mics will ensure tonal consistency between the pair. As always enjoy experimenting with your stereo recordings to find the results that work best for your project!